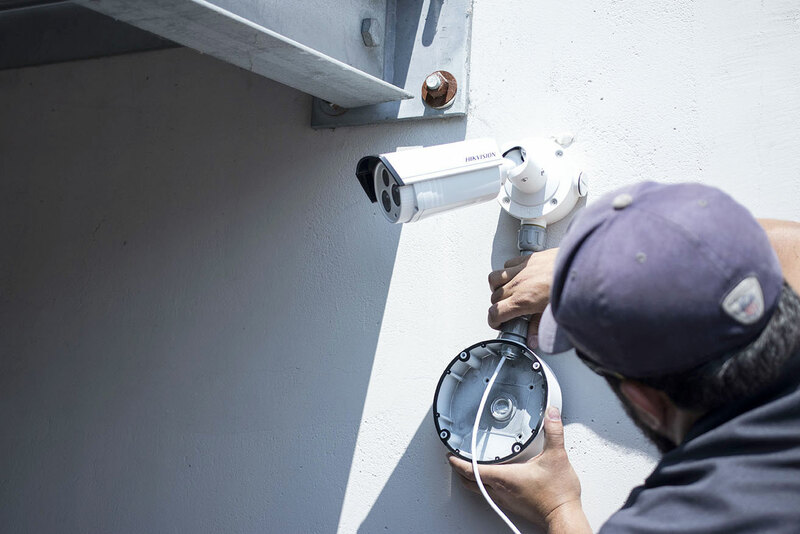 We’re California’s premiere security systems provider, and we take pride in providing the best security system installation services possible. Closed-circuit television systems of any kind require professional installation and planning. To avoid blind spots, to ensure the longevity of the system, and to provide insights about the capabilities and relative merits of different surveillance systems, Safe and Sound will develop and install the right system for your property. Don’t take a chance on a cut-rate installation. Imagine the shock and embarrassment of catching an intruder on camera, only to find that the video is too dark or too out of focus to be of any use. Imagine the frustration of being unable to read a license plate as a car speeds out of your lot. This isn’t CSI, and you can’t just shout “Enhance!” For your business to be properly protected, your surveillance system installation needs to take into account the environment, distance, lighting, and a host of other factors, and Safe and Sound are the fully-trained professionals who can get the job done. Whether you’re looking for us to install equipment you’ve already purchased or would like to purchase equipment, Safe and Sound will take care of everything. In addition to being experts in home security camera installation, we install wireless burglar alarms, hardwired burglar alarms, wifi cameras, IP cameras, analog cameras, doorbell cameras, access control readers, controllers, electrified door hardware, intercom systems, and telephone entry systems. 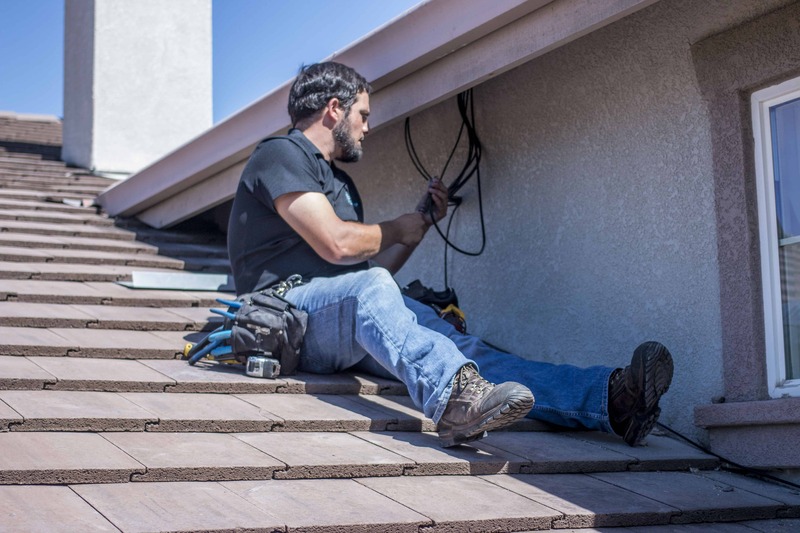 Plus, our technicians are trained to run conduit, run cable, handle any Wireless Mesh or Point to Point networking needs, configure any panel, or handle any and all complicated IT integrations. Our installers are licensed and bonded, and they deliver the same unparalleled customer service that our customers have come to expect from us. With locations throughout California, we’re able to offer premium service and repair options, all within reach. A security system repair service is just one more piece of the ongoing support infrastructure that Safe and Sound provides to its customers. Alongside 24/7 monitoring, professional installation, and unparalleled customer service, Safe and Sound will be there if something should break down. Say a camera stops transmitting, or the video feed has become garbled or washed-out. That video does you no good in case of an incident, so we’ll be quick to troubleshoot and repair the issue before it can cause a problem. A good security system repair service knows that sometimes technology fails, and it’s part of our guarantee for customer satisfaction that we keep your home security system in good repair. Safe and Sound must be doing a bang-up job keeping your alarm system in good repair. Remember, these things don’t maintain themselves. They’re always running (that’s sort of the point) and, rugged as they are, they will eventually feel the effects of wear-and-tear, wind-and-rain just like anything would. That’s why we make it part of our promise to you that we’ll provide ongoing maintenance and repair services for as long as you need them. 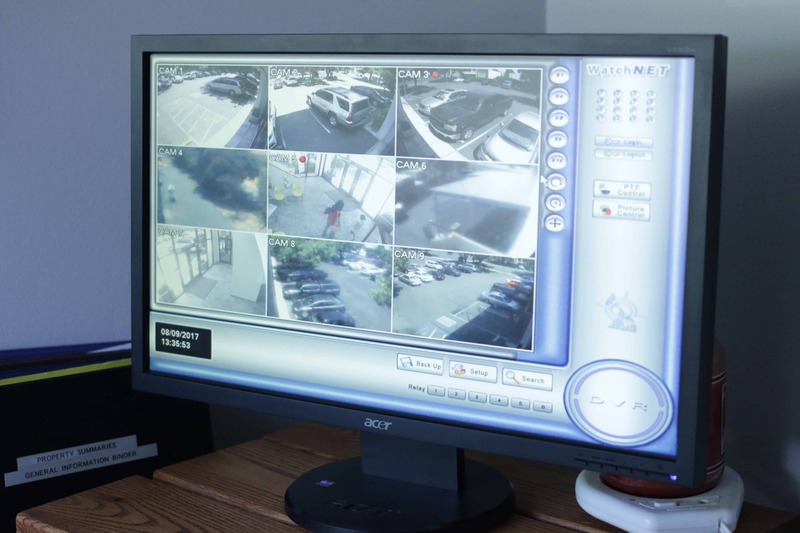 We guarantee all our work, and our security system repair service is no exception. Don’t let your business go unguarded, or your home unprotected. Trust Safe and Sound to get the job done, and to keep your most precious assets secure.